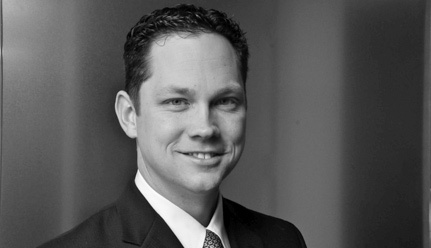 Daniel Bird is a litigation partner at the firm. He has served as trial counsel and lead appellate counsel, argued before numerous state and federal courts, and represented clients in appeals around the country. He has experience in all aspects of the civil litigation process, including dispositive motions, pretrial discovery, trial practice, and appeal. Mr. Bird has a diverse civil practice representing plaintiffs and defendants, largely in commercial cases. He has particular expertise in business torts, contract disputes, defamation, and professional liability, with significant experience litigating complex issues of causation, damages, and attorneys’ fees. In addition, he provides pre-litigation counseling and other advice to clients on a wide range of issues, including jurisdiction, the attorney-client privilege, choice-of-law and statute-of-limitations issues, and questions of litigation and appellate strategy. Mr. Bird joined the firm in 2006 after clerking for the Honorable A. Raymond Randolph on the U.S. Court of Appeals for the D.C. Circuit. He is a graduate of the Yale Law School and the University of Maryland. Representing UFCW & Employers Benefit Trust in a class action against the Sutter Health hospital system, which alleges that Sutter has engaged in anticompetitive conduct in violation of the California Cartwright Act and the state Unfair Competition Law. In August 2017, the court certified a class consisting of self-funded payors of healthcare in California, and in January 2018 the Court of Appeal denied Sutter’s writ of mandate seeking to reverse class certification. UFCW & Employers Benefit Trust v. Sutter Health, No. CGC 14-538451 (Cal. Super. Ct.). Successfully represented bankruptcy trustee on appeal in obtaining affirmance of a $213 million jury verdict against The Renco Group and Ira Rennert for fraudulent conveyance and breach of fiduciary duty. In re Magnesium Corporation of America, 682 F. App'x 24 (2d Cir. 2017). Successfully represented iHeartCommunications, Inc. in defeating motion to dismiss and establishing personal jurisdiction over noteholders of the company, in a dispute involving notices of default issued to iHeart in Texas. iHeartCommunications, Inc. v. Benefit Street Partners, LLC, No. 2016-CI-04006 (Tex. Dist. Ct., Bexar Cnty. May 6, 2016). Obtained dismissal with prejudice of indemnification claims by former executives against Texas-based hospice providers. The Delaware Court of Chancery held that the former executives entered a valid and binding contract in which they gave up any indemnification rights. Curo Texas Hospice, LLC v. Kumar, C.A. No. 11665-VCL (Del. Ch. May 2, 2016). Served as lead appellate counsel for a small drilling company alleging breach of contract against a major energy company. On appeal, successfully vacated the trial court’s order granting judgment as a matter of law to the defendant and obtained a new trial, in a case involving mutual assent, mistake, and fraud. Knox Energy, LLC v. Gasco Drilling, Inc., 2016 WL 385948 (4th Cir. 2016). Served as trial counsel in a dispute between coal companies involving claims of fraud and tortious interference. Briefed, argued, and won summary judgment on individual plaintiff’s claims for millions of dollars in lost income and other damages, which the court held were derivative of injuries allegedly sustained by his company. Caperton v. A.T. Massey Coal Co., 2014 WL 3579828 (Va. Cir. Ct. Apr. 15, 2014). In post-trial representation of a defendant accused of consigning counterfeit wine for auction, successfully reduced compensatory and punitive damages from $12.4 million to less than $1 million, defeated a request for a permanent injunction, and obtained the complete denial of a claim for $8 million in attorney’s fees. Koch v. Greenberg, 14 F. Supp. 3d 247 (S.D.N.Y. 2014). Represented various former public company executives in arbitrating tort claims against professional services firms for the fraudulent marketing and sale of tax-avoidance strategies. All claims were resolved successfully, recovering significant damages for each plaintiff. Confidential AAA Arbitrations (New York, NY; 2010, 2013). Successfully represented Burford Group, a leading litigation finance provider, in establishing the legal principle that the attorney-client privilege and work-product doctrine protect a litigant’s communications with Burford. Devon IT Corp. v. IBM Corp., 2012 WL 4748160 (E.D. Pa. Sept. 27, 2012). Represented private equity firm Thomas H. Lee Partners against a limited partner that alleged fraud and breach of contract and sought reformation of partnership agreement based on an alleged mistake. The Delaware Chancery Court granted summary judgment in favor of Thomas H. Lee Partners on claims of fraud and mistake. Great-West Investors, LP v. Thomas H. Lee Partners, L.P., 2012 WL 19469 (Del. Ch. Jan. 4, 2012). Successfully represented infoUSA, Inc. in the district court and on appeal against claims of infringing a patent on e-mail marketing. The Federal Circuit affirmed the grant of summary judgment in a widely-cited decision confirming the efficacy of “logic, judgment, and common sense” to invalidate a patent on the ground of obviousness. Perfect Web Technologies, Inc. v. InfoUSA, Inc., 587 F.3d 1324 (Fed. Cir. 2009). Successfully represented BellSouth Telecommunications, Inc. in an appeal establishing that a Kentucky statute violated the First Amendment by prohibiting providers from disclosing on consumer bills that the state had imposed a new tax on providers’ gross revenues. BellSouth Telecomms, Inc. v. Farris, 542 F.3d 499 (6th Cir. 2008).